Many areas in Louisiana have a sandy loam soil with a low nutrient value. Constructing a raised bed filled with good quality soil and organic matter will create a better growing environment for growing strawberry plants. Plant the strawberries in October through December to give the plants a head start for spring growth in Louisiana. Strawberries ripen starting in late February and continue to produce through the month of May, when the weather remains cool. Build a raised bed in a sunny location. Construct the bed 8 inches high with landscape timbers. Common dimensions are 4 feet wide by 8 feet long. Fill the raised gardening bed with high quality top soil mixed with 3 to 4 inches of peat moss or organic compost. Build raised rows in a mound that are 8 inches high and 12 inches wide. Test the soil pH to verify it is 6.0 to 6.8. Add ground rock sulfur to the soil to lower the pH if needed. Water the soil well and let it rest at least two weeks before planting. Work a balanced all-purpose fertilizer into the soil to a depth of 6 to 8 inches with a tiller. Place the strawberry plant into holes deep enough to accommodate the roots spread out. Make sure the plant crowns remain above ground. Cover the roots with soil and gently pack to hold in place. Space the places 18 inches apart in the rows. Apply organic mulch around the plants to limit weed growth and assist with moisture retention. Mulch also lower fruit rot by preventing direct contact with the soil. Clean pine straw or black plastic mulch sheets work well for strawberry plants. Water the strawberry planting after planting to stimulate root growth. Apply water at ground level and do not create standing water around the plant stems. Remove all blossoms from the strawberry plants during the first year of growth to increase fruit production the following years. 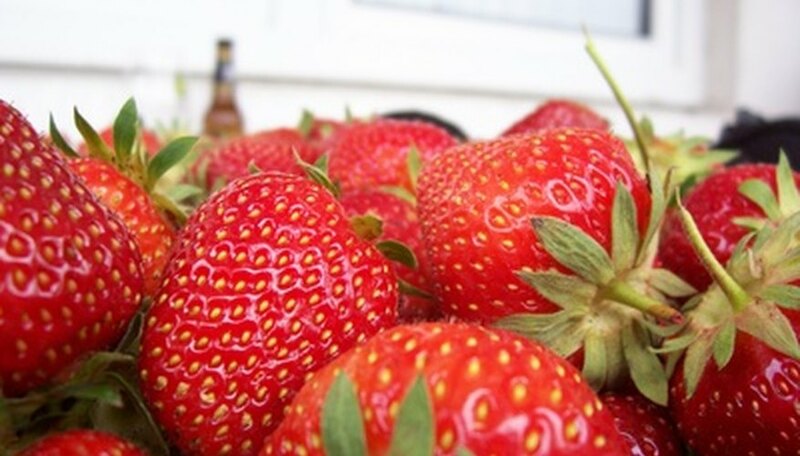 Strawberry varieties that grow well in Louisiana are Tangi, Chandler and Camarosa.